The MR500 outdoor enclosure lets you install the MR500 outdoors on a wall or pole. 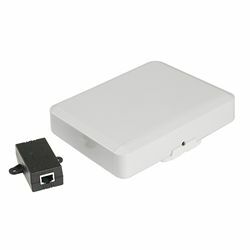 You can also use it indoors to hide any Ethernet cables for tamper-free installations. Includes a passive PoE injector to deliver power from the standard MR500 AC adapter. MR500 not included.